A friend of mine is going through the unimaginable journey of pancreatic cancer. She is a wife, a mom, a daughter, a niece, an aunt, a friend, and so much more to so many people. She is loved beyond measure. 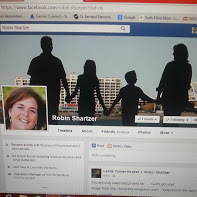 She has been so courageous to share some of the journey with all of us through her face book page. We cry, pray, scream, and cheer with her every post. She has inspired so many people in countless ways. Yesterday she posted that the two different types of chemos have not yielded the desired results for fighting this disease. There were still notes of hope in the post about experimental treatment and traveling for it. However, what struck me the most was the acceptance she revealed. She said she is now praying different than before. Before she was praying for a cure, now she is praying for “God’s will” to be done, whatever his will may be. She has not stopped fighting this disease but she has begun to accept where she is and what might come with God’s will. In my Master’s class recently we studied the sacrament of healing. You cannot avoid the stories of healing throughout the New Testament. The healings are not just physical, they are also emotional and social. Many of the people healed in the Gospels were marginalized by their diseases and becoming well brought them back into the community. Jesus often said, your faith has healed you. During a discussion about the healings. I expressed how upsetting it is to pray for healing for people we love with cancer and yet they die. I had a very good friend, Keith Jones, who fought cancer for a few years and died from it. He was an amazing man who lived his faith daily. He actually said, “I am blessed to have this disease and meet so many new friends and love so many more people than I did before the disease.” How does someone like that lose the fight? Our facilitator said, “Healing comes in different ways. It’s not always a full recovery from the illness. Sometimes it is spiritual.” I suppose now that healing can also be the acceptance of the disease and our own death. If the person can accept God’s will and find comfort in God and their family maybe that is healing. After all, they will soon transition to the most amazing life ever, the afterlife in the loving embrace of God’s arms for all eternity, with no more pain or sorrow. Emotionally, spiritually, and physically the acceptance of God’s will can heal a person. It takes an unbelievable amount of humility, love from others, and faith to be able to step foot down that path. My prayer for Robin is that God will give her all that she needs to prepare her for the journey she will take to get to him. That she and her family will take comfort and refuge in God’s love. I pray that all of those who love her will raise her and her family up in prayer daily so she feels only love and joy in these days with her loved ones. Acceptance doesn’t mean giving up, it means trusting completely in God’s will. Robin’s acceptance is an inspiration to every person who knows her or anyone who has every suffered with a disease. Wehn we pray we are guaranteed healing…in this world and/OR the next!